Induction ranges are the appliances of the future. Rather than wax on and on about the details of induction cooking, click here for an in-depth look at this cutting-edge culinary advancement. Now, on to the finest ranges of 2019 that feature induction cooktops. From the Benchmark Series, this is well-rounded, highly capable range. It is able to accommodate the most serious home cooks as well be a fine tool for everyday family use. 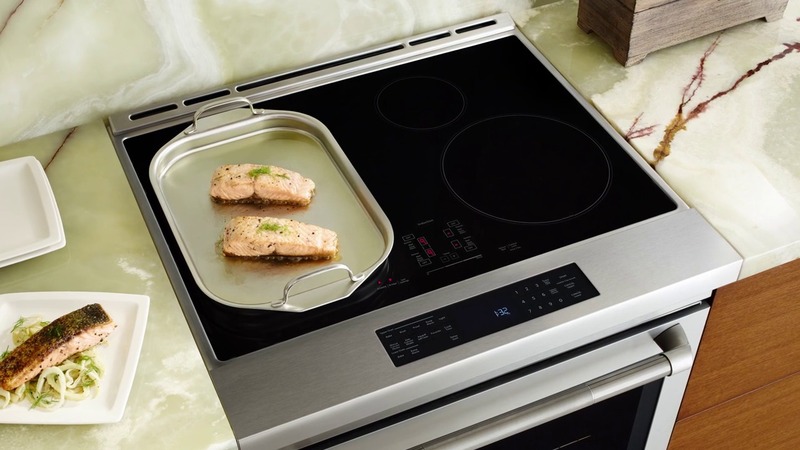 Flexinduction is the term Bosch use to describe their cooktop which combines two cooking zones into one continuous surface. The advantage? You’ll be able to prepare dishes in cookware of all shapes and sizes. Also exceedingly versatile, the PowerMove mode divides the Flexinduction surface into three power level zones that you preset. That way, you don’t have to wait for the power level to shift when you adjust the temperature. Simply move the pot or pan to another zone. SpeedBoost adds more power to lessen the cooktop time – a great option for high heat cooking. PreciseSelect gives you 17 different power levels to adjust the temperature precisely. The cooktop has nuanced cooking features – Powerboost and Gentleheat – which does what it says on the box – provide either very high or low heat. Specialized cooking tasks such as searing meat and melting chocolate are handled with equal aplomb. The oven is a spacious 4.7 cu. ft. In it, you’ll find features including an Aerotech Convection Cooking System which circulates air providing an even heat distribution. 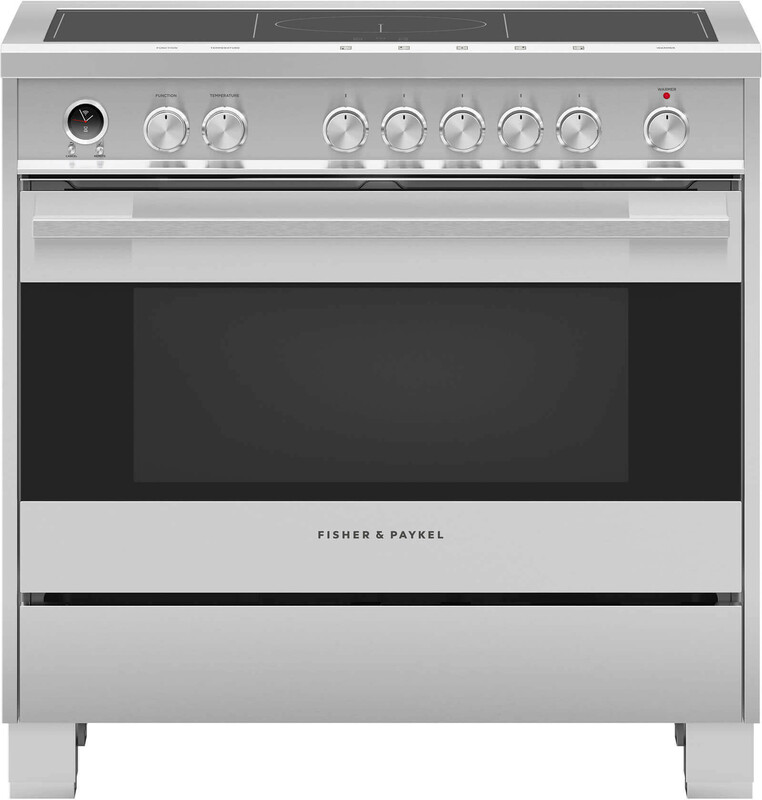 It has eight oven functions to suit any dish. Two telescopic racks allow for easy access. There is also a warming drawer. It’s the small things that make this 30-inch Bertazonni range from their Professional Series special. Italian design plays a big part – from soft-motion hinges with auto close, which takes a lot of the hassle typically associated with dealing with bulky ranges to the one-piece cooktop and edge to edge inner oven glass which makes cleaning easy. And let’s not forget the heavier chassis frame, thicker side panels, and re-enforced legs, which give the impression that this is a range which is prepared to go to battle for its owner. Elsewhere, the 4-zone induction work-top has variable heat and a power boost function to accommodate full-size cookware for very fast yet precise cooking. Easy glide shelves are included with the 4.7 cu. ft. oven. And there’s the distinctive Bertazonni dial gauge which adds a charming slice of old-school flavor, invoking the company’s 100-year old history to the range’s new school technology. Do you know the precise temperature at which chocolate, butter, and other finicky ingredients melt? Fear not, this 30-Inch induction range knows and its Sensor Boil function ensures that delicate sauces won’t be scorched and ruined. 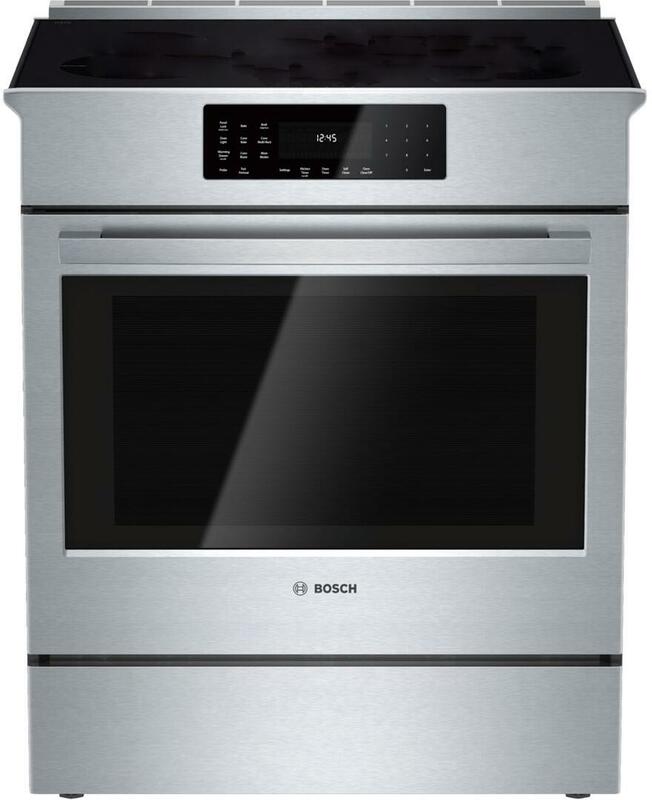 Other notable features from this robust appliance include fast, efficient induction cooker power, a cavernous 7.1 cu ft combination oven and baking drawer allowing you the ability to perform different types of cooking at once. Other oven attributes include true convection, a telescoping glide rack, and Aqualift Self-Cleaning which minimizes the time, temperature and odors that typically come from self-cleaning ovens. An appliance for serious foodies and part-time cooks alike. Miele has excelled in making premium appliances, which are jam-packed with features to make your cooking cleaning and cooling experiences as slick and seamless as the appliances themselves. 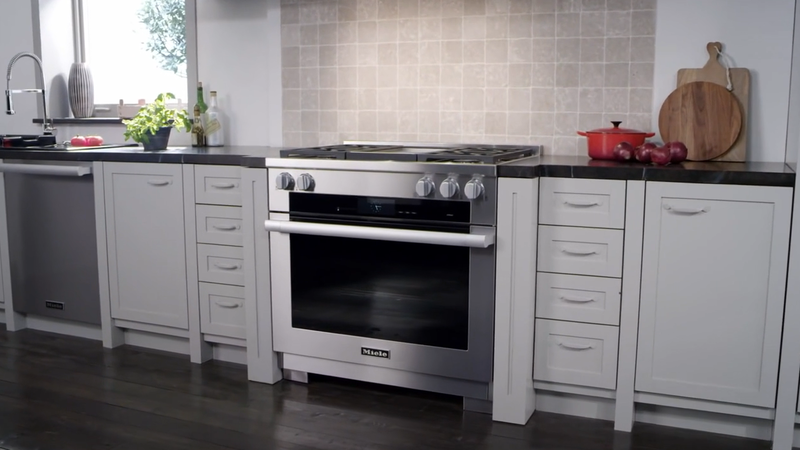 On this range, there’s a 4 element induction cooktop and 4.6 cu ft oven capacity and so much more as well including 21 different operating modes with 4 cooking zones. A few of this range’s unique features include a Soft Open and Close, over 100 pre-set MasterChef programs for bread, cakes, vegetables, etc. ensuring your dishes turn out well every time. RemoteVision saves you calling a tech to diagnose the problem. This appliance detects every malfunction which is then sent to Miele’s customer service. Put the Residual Heat Utilization function into the “why didn’t I think of that,” category. Miele ovens switch off early and use the residual heat to complete the cooking process thus saving energy. An AirClean catalyzer reduces grease and odors and prevents deposits from collecting on furniture, walls, and curtains. And before you think that Miele has thought of everything, the whole oven is clad in fingerprint-resistant stainless steel which also resists scratches and smudges. If only this ranges could drive you to work in the morning, then they really would have thought of everything.